PRLog (Press Release) - Dec. 19, 2013 - HOLLYWOOD -- The Indie Series Awards, formerly known as the Indie Soap Awards, are coming to Los Angeles in celebration of its 5th year on April 2, 2014. The Red Carpet Gala will be held at the El Portal Theatre, a historic landmark in the San Fernando Valley located in the heart of North Hollywood. When it first opened in 1926, the theatre was home to Vaudeville shows, then Silent Movies and Academy Award winning films. Today, the 360 seat proscenium house serves for a multitude of functions including staged plays and readings, special events, plus film and television productions. The Indie Series Awards, honoring the best in independently produced, scripted entertainment created for the Web, first began in 2009. Doubling in size each year since inception, ISA5 will once again provide the backdrop for New Media creators to celebrate their accomplishments and those of their peers. The ceremony will be hosted by Emmy-nominated actress, and Best-Selling author Carolyn Hennesy, star of General Hospital, True Blood, Cougar Town, and the upcoming indie web series Acting Dead. 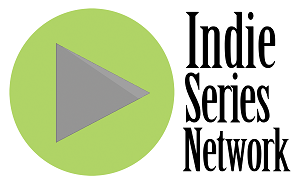 Any professional, independently produced scripted web series (drama or comedy) that released at least three NEW episodes between December 17, 2012 and December 31, 2013 may be submitted for the Indie Series Awards. Complete entry instructions are available at http://indieseriesawards.com. Tickets for ISA5 go on sale February 1st and will be sold through the El Portal Theatre box office. The staff is great and really gets to know your name. Totally worth your time on any night for good food and drink. Anyone will make this a regular spot easily.